Wisniewski v. Heritage Harbor, Inc. This is a nursing home wrongful death case filed by the family of a man how died of sepsis as the result of untreated bed sores. This lawsuit is filed in Baltimore City. The claim was filed in Maryland Health Claims Arbitration on January 17, 2017 and is the 22nd medical malpractice case filed in 2017 in Maryland. When he is admitted to Heritage Harbor, his skin is fully intact. The lawsuit claims that for two months the staff at Heritage Harbor fails to provide appropriate pressure and skin care relief. He develops a large, infected sacral pressure ulcer and suffers repeat urinary tract infections and dehydration. After two months, the patient is transferred to Johns Hopkins Bayview. At Bayview, he is diagnosed with mental status changes, fever, UTI, and a large sacral decubitus ulcer on both buttocks. For three weeks, the staff allegedly fails to provide appropriate care. As a result, the sacral ulcer deteriorates to a stage IV infected ulcer. After seventeen days, the man is discharged home and supposed to receive home wound care three days per week. After three days, he is transferred to University of Maryland Shore Medical Center. When he arrives, he is diagnosed with sepsis and a large stage IV bed sore with foul odor and drainage. He has a surgical debridement of the ulcer done, and is discharged home after a few weeks. Within a month of going home, decedent enters hospice care with a diagnosis of sepsis and rapidly declining mental changes. After being in hospice care for a month and a half, decedent dies from sepsis complications. The crazy thing about this case is that this man was sent home and then returns three days later with a stage IV pressure ulcer. How does that happen? Certainly, we can all agree that in rare cases bed sores can form very quickly. But this is not a new bed sore. This was a problem this man was battling. It would be interesting to read his discharge evaluation from Bayview and how they justify the discharge. Reading the complaint, it is difficult to tell whether Heritage Harbor or Johns Hopkins Bayview is the primary target defendant. You would think the answer would be Heritage Harbour because that is where the bed sore became a serious issue. But it is hard to understand how Bayview could have released him. Bayview's argument that the horse was already out of the barn is severed hampered by the fact that he was released. The hospital cannot argue he was too far gone but well enough to be sent home. How are the defendants going to defend this case? Probably by blaming the victim. They are likely to contend that his bed sore had healed but returned quickly and the victim should have immediately returned when he saw the bed sores return. This "blame the dead guy defense" can often work but it will likely be a struggle in this case. If you or a loved one suffered an injury due to the negligence of a nursing home, contact Miller & Zois. We can help you get the compensation you deserve for the harm that has been done. 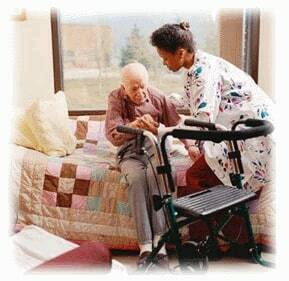 We have a long history of results in nursing home and medical malpractice cases in Maryland. Call us today at 800-553-8082 or get a free online case evaluation.